2018 saw Sting & Shaggy bring The 44/876 Tour to North America, South America and Eastern Europe. Hailed “one of the most anticipated concerts of the year” and “a reggae rock dance party that never lets up,” the show sees the pair collaborating on each other’s most celebrated hits such as "Every Breath You Take," "Englishman In New York," "Message In A Bottle,” “It Wasn’t Me,” "Mr. Boombastic" and Angel, as well as new hits from 44/876, which has just been awarded the 2019 GRAMMY for Best Reggae Album. 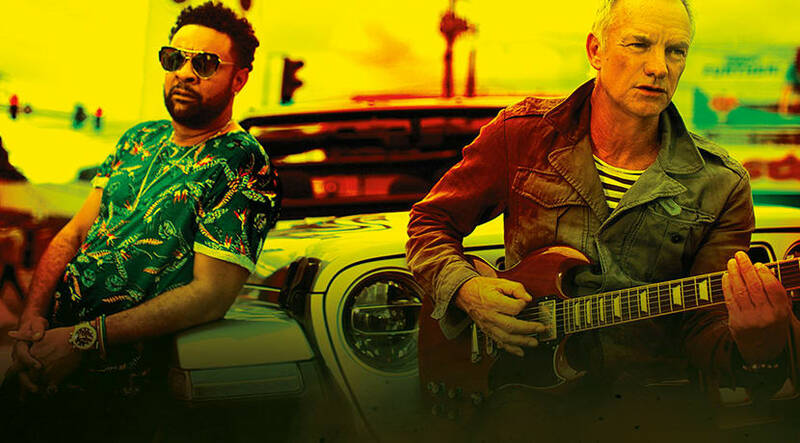 Sting and Shaggy play O2 Academy, Birmingham on 24 May 2019. Tickets are on sale this Friday 15 February at 9am. Members of the artist fan clubs will have the opportunity to access tickets starting February 12 at 9am until February 13 at 5pm by visiting sting.com.